Upstairs Cabaret, Degree One & Marshall A bring you..
Plus JUST ADDED: Stax, SirReal and DoubleR of FCP. 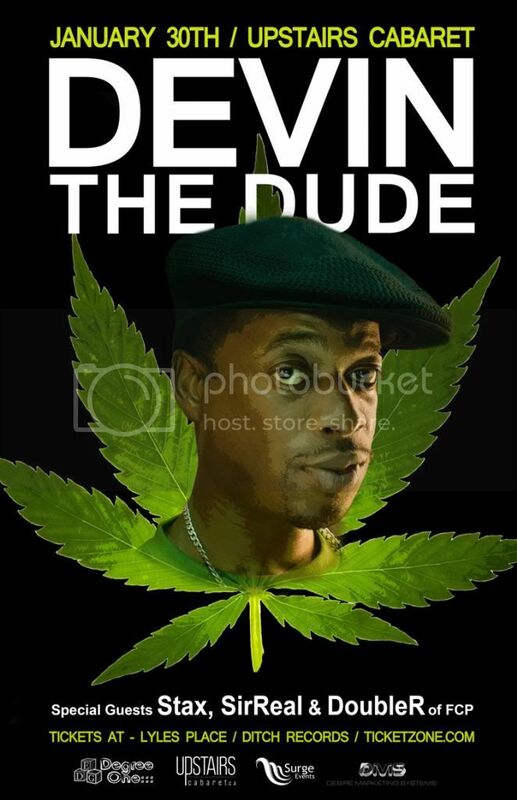 Advance Tickets $25 at Lyle's Place, Ditch Records & CDs online at http://www.ticketzone.com/event/Devin-the-Dude/219921 or straight from one of the performers hands.! Contact the Street Team for tickets!